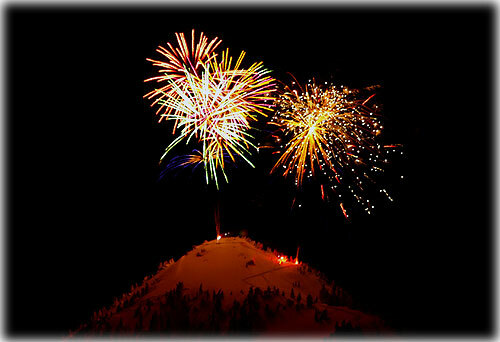 Ken Arriola is the founder and has been the director of the annual Deer Mountain Winter Fireworks display since 2001. Southeast Alaska: Roadless Rule Reinstated; Murkowski Concerned With Economic Impacts on Southeast Economy; Plaintiffs say great news for emerging economy based on wildland restoration, fishing, and tourism By MARY KAUFFMAN, SitNews - An Anchorage federal judge on Friday sided with the Organized Village of Kake and reinstated the roadless rule in the Tongass National Forest. In reinstating the roadless rule in the Tongass, U.S. District Judge John W. Sedwick found the exemption was arbitrary and capricious; however, Sedwick didn't vacate three timber sales authorized under the exemption. He says that decision is left to the Agriculture secretary who at this time is Tom Vilsack. Sedwick's decision in Organized Village of Kake v. U.S. Department of Agriculture strikes down the 2003, Bush-era decision to "temporarily" exempt the Tongass from the national Roadless Rule, which protects nearly 60 million acres of undeveloped backcountry throughout the national forest system. The court’s decision finds that the Tongass Exemption was illegally adopted and reinstates the Roadless Rule in the Tongass. The plaintiffs, represented by Earthjustice and the Natural Resources Defense Council, include the Organized Village of Kake, Alaska Wilderness Recreation & Tourism Association, The Boat Company, Sierra Club, Southeast Alaska Conservation Council, Tongass Conservation Society, Greenpeace, Wrangell Resource Council, Center for Biological Diversity, Defenders of Wildlife, and Cascadia Wildlands. "We brought this lawsuit to protect customary and traditional uses from damaging logging proposed by the Bush administration,” said Mike Jackson, Organized Village of Kake. “For Tribal members, these lands are essential sources of food, medicine, clothing, and traditional items for artistic and spiritual use. Our deer hunting and other customary uses of the forest have suffered too much already from past logging,” he added. The groups had sued the federal government in December 2009 challenging the Bush-era exemption of the Tongass National Forest from the 2001 Roadless Area Conservation Rule. Tongass roadless areas are needed to maintain healthy populations of wolves, bears, goshawks, deer, marten, and five species of Pacific salmon, among other species, and to support jobs in the tourism and fishing industries. The Associated Press reported that U.S. Sen. Mark Begich (D-AK) says Friday's decision means that the Tongass will be managed by a "cookie-cutter rule" imposed on all national forests and not one specific to the Tongass. In a prepared statement released Saturday, U.S. Sen. Lisa Murkowski (R-AK) said, “The decision further damages the economy in Southeas.” She said, "The roadless rule was never intended to apply to the Tongass because ANILCA already set logging limits for the forest, as did the Tongass Timber Reform Act. This will make it all the more difficult for the few remaining timber operations that depend on the Tongass and the Forest Service to survive. I intend to do every thing I can to limit this damage." However, the plaintiffs do not agree that the economy will be damaged saying the ruling is good news for the thousands of people in Southeast Alaska with jobs in tourism and fishing. Quoting a press release from the Defenders of Wildlife, while strongly supporting jobs in tourism and fishing, the court’s decision will not cause job losses in the timber industry or other economic sectors. The Forest Service is not currently planning to proceed with any roadless area timber sales, but is in the midst of a transition away from old growth logging in the Tongass. Nevertheless, the decision is extremely important to secure this transition and protect against any future backsliding. The court’s decision specifically found no support for claims that the Roadless Rule hurt local communities and jobs. The rule allows for new highways and for power lines to connect communities in the region states the release from the Defenders of Wildlife. There were numerous favorable comments from the plaintiffs about the ruling. Carol Cairnes of the Ketchikan-based Tongass Conservation Society said, "The Tongass is an icon, the last fully functioning national forest ecosystem left, and the only one where wildlife and fish exist in something like the abundance they enjoyed in days gone by. The court’s decision will ensure the protection this ecosystem has always deserved." Fish Factor: Projected salmon catches up By LAINE WELCH - Last year’s Alaska salmon harvest ranked #11 in the record books, but state fish managers are predicting an even better haul this year. The statewide forecast calls for a total catch of 203.4 million salmon, compared to 171million fish in 2010. If the catch comes in on target, it will be the fifth largest Alaska salmon harvest on record. The boost stems from a projected pink catch topping 133 million fish, about 25% higher than last year. All major pink salmon regions – Prince William Sound, Kodiak and Southeast - are expected to produce abundant humpy harvests. Projected catches are up for the other salmon species as well. For sockeye, the big money fish, the harvest is pegged at nearly 45 million reds; the coho catch is set at 4.6 million; and for chums, a harvest of nearly 20 million would be the fifth best since 1960. For king salmon, a catch just shy of 122,000 is forecasted in areas outside of Southeast Alaska, where a treaty with Canada dictates the amount of Chinook that can be taken. That number should be revealed by the end of March. Find all of the 2011 salmon forecasts by region, and a detailed review of the 2010 season at the Fish and Game website. The dockside (ex-vessel) value of the 2010 Alaska salmon catch was nearly $540 million. Alaska: Gas prices in Alaska continue to rise - Average retail gasoline prices in Alaska have risen 14.8 cents per gallon in the past week, averaging $3.82 per gallon yesterday. This compares with the national average that has increased 12.6 cents per gallon in the last week to $3.47/g, according to gasoline price website AlaskaGasPrices.com.